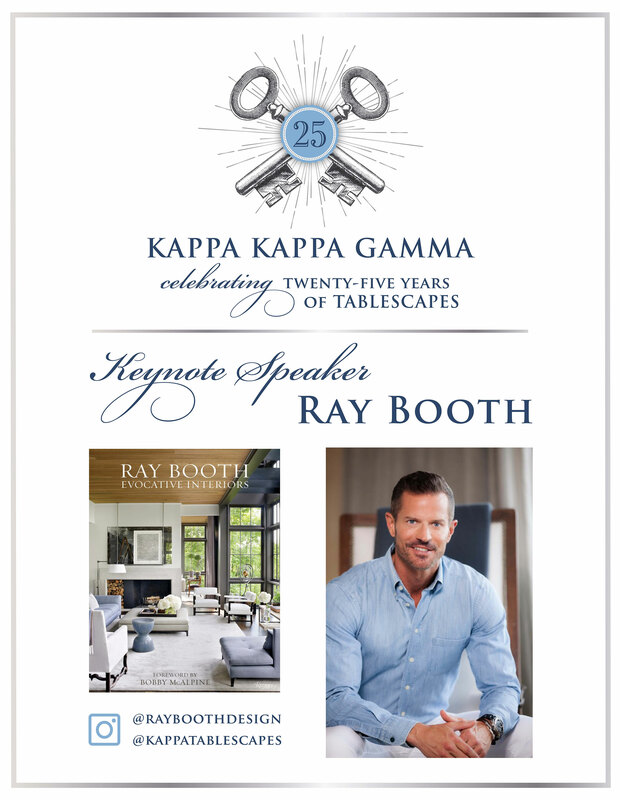 Speaker Details - Dallas Alumnae Association Kappa Kappa Gamma Foundation, Inc.
An Alabama native and alumnus of Auburn University’s School of Architecture, Ray Booth began his career as an intern at McAlpine. Moving to New York soon after, he had successful tenures in the offices of such distinguished design talents as John Saladino and Clodagh. A decade later, reuniting with Bobby McAlpine, his former professor, Ray returned to McAlpine as a partner in its interior design firm. These days, Ray divides his time between the firm's Nashville office and its expanded New York office, which allows him to keep one foot in the city and other in his native south. Ray is the author of Evocative Interiors, his bestselling first book published by Rizzoli in 2018. Ray’s work has received significant recognition from the nation’s most prestigious publications, including covers of Architectural Digest and features in Elle Décor, Veranda, Milieu, Wall Street Journal, and Vogue.com.